Home Unlabelled Beauty So Clean Winner! 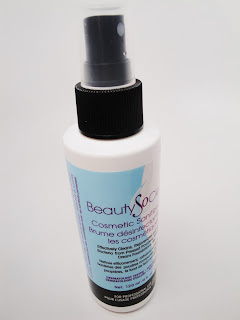 Thank you for participating in my Beauty So Clean Cosmetic Sanitizing Mist Giveaway! The lucky winner is MDS Makeup, congrats! Send me an email with your shipping address and I’ll ship your prize to you. Please note, if you enter my Friday Favorites Giveaways make sure to register on my Alcone Site, I double check that you’re on there before you win. And a few of you who would of won didn’t because you weren’t registered, poo! Don’t forget to enter the Friday Favorites Giveaway for my HG Lash Curler, amazing for falsies! FTC Disclosure: I purchased this prize on my own.